Dr. Roxanne Irani is considered to be one of the top rated dentists in Sydney. Being a founder of Gentle and Caring Dentistry in Maroubra, she has vast experience in treating dental patients in whole of Sydney. Patient satisfaction is on top of our list as a dentist in Sydney area. And the love of our patients is reflected in being voted one of the top rated dentists in Sydney on Google, Yelp and other websites. Dr. Irani has vast experience in general dentistry, pediatric dentistry, dental implants, emergency cases, preventive and restoration treatments and more. With more than 17 years of experience in treating dental patients in Sydney, Australia she has become a well known female dentist in Sydney area. Her strong focus on prevention of gum diseases makes sure that her patients retain their natural teeth as long as possible. She believes in making her patients feel comfortable and relaxed during all procedures. 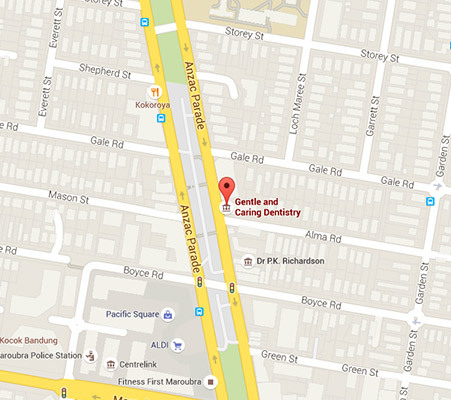 Patients of Gentle and Caring Dentistry give us a top rating to us among all dentists in Sydney area. Call us on (02) 9349 6668 or visit us at 1 / 818 Anzac Pde Maroubra Junction for an appointment with one of the best rated dentists in Sydney, Australia.